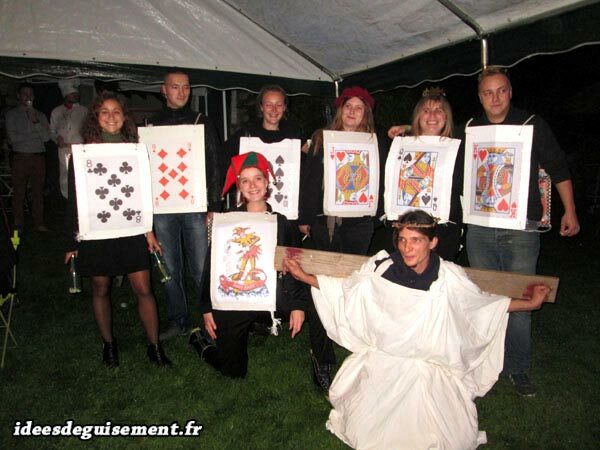 A pictures selection of cheap, low cost and free costumes. 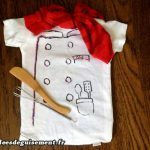 Many ideas of cheap fancy dress for adults and kids that you can buy. 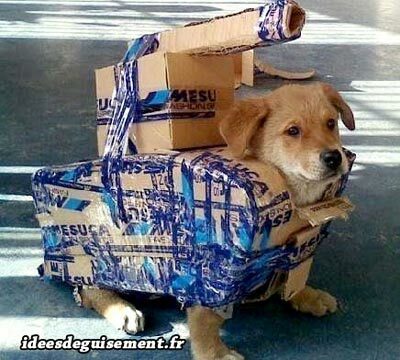 Cheap and free DIY costumes to make by yourself. A video giving us 8 low cost & very cheap DIY fancy dress ideas. 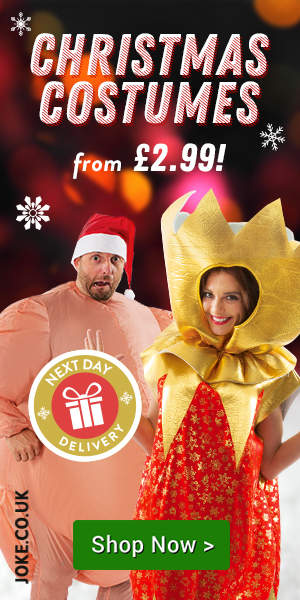 First, you can find hundreds of cheap fancy dress and many special offers on costumes to be delivered to you just HERE ! Combine 2 costumes to make it one. 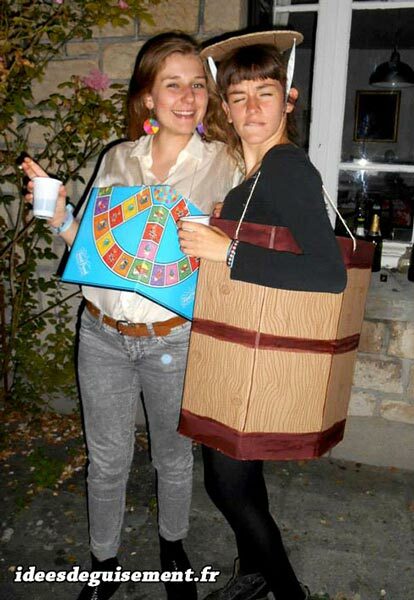 For example, you can use the main outfit of a fancy dress and use the details and accessories of another fancy dress. 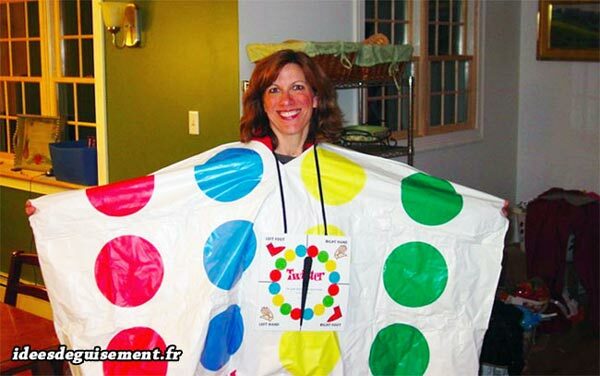 This way you’ll end up with a new original fancy dress. Find some old clothes that you haven’t worn for years and costume yourself in a you old. No cost for this costume and nostalgia and good memories assured. Wear clothes of completely different styles and give yourself an unique look. 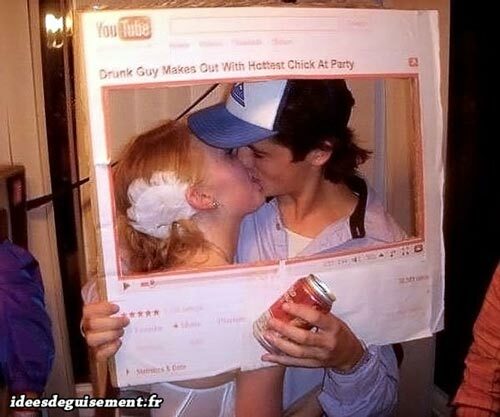 You will look kitsch and you will probably not have the best fancy dress, but that’s a free costume idea. Indeed, you’ll not have to take out any penny of your pocket. Borrow clothes to a friend or member of your family and become that person during the time of your event. Once again, there is no charge for this costume. Get your favorite pyjama, the one with teddy bear or a unicorn. 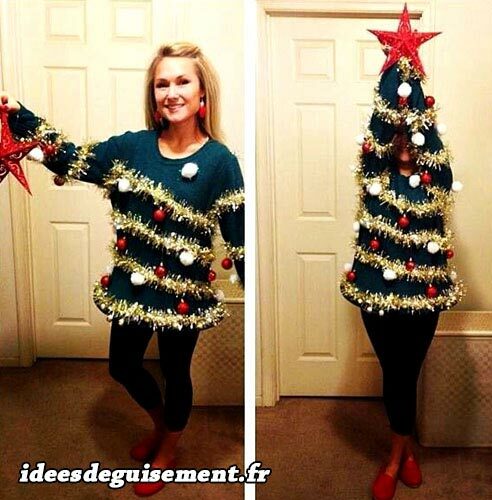 And here you are with a very comfortable costume for your event without any expense. Plus, you’re already ready to go to bed. 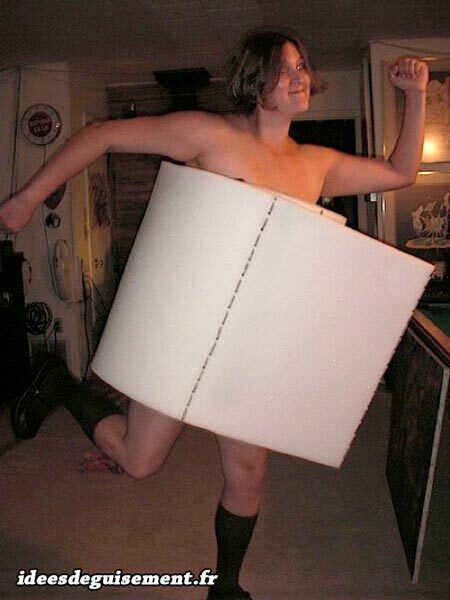 Make a cheap fancy dress using cardboard, fabric and paint. Generally it’s quite easy to find free cartons, if you don’t have some, you can ask relatives. For the fabric, you can retrieve old sheets or old clothes. About the painting, you can find it in a DIY shop and it should not ruin you. 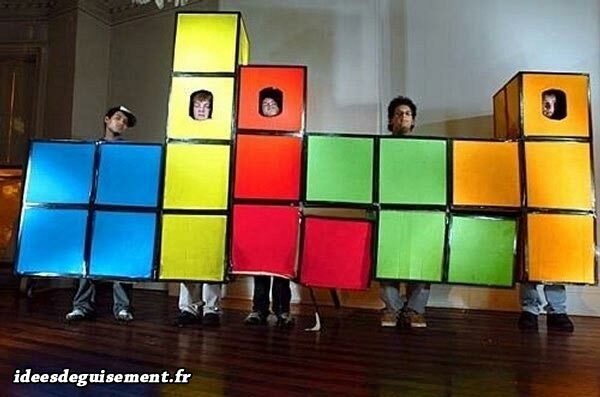 Don’t hesitate to add other equipments, items or materials to make your fancy dress more complete. Find in the video below 8 very cheap (Price and quality) DIY costume ideas. 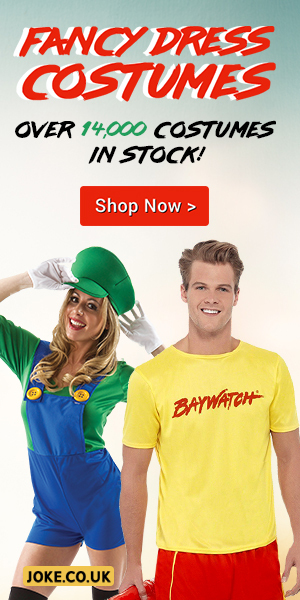 So if you’re looking for a cheap and funny costume, you are at the right place. ? 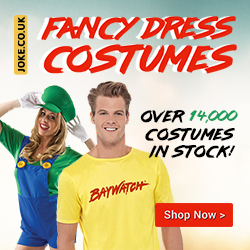 If you still haven’t found your cheap costume, you can find hundreds of low price fancy dress on promotion to be delivered to you just HERE !